Microsoft has opened up the back-end of its Office for iOS and Office Online apps to allow third-party cloud storage providers to integrate their services with the productivity suite. Box, Citrix and Salesforce are inaugural members of the Microsoft Cloud Storage Partner Program meaning Office for iPhone and iPad users can open, edit and save previously created documents to the respective cloud storage services right away with support for Office Online to follow. Apple's iCloud storage service was added to the Office for iOS apps just yesterday and it means there are other options beyond OneDrive available to users, however, newly created documents can still only be saved to OneDrive, OneDrive for Business and DropBox. Kirk Koenigsbauer, corporate vice president for the Office team, explained that the decision has been made as they "want Office to be the preferred way to work with documents no matter where they're stored". 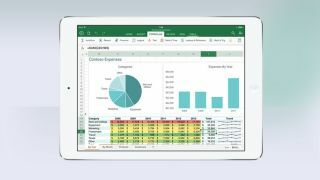 It means that Office for iOS and Office Online users can both save and edit documents for free by creating a new Microsoft account with a range of transactions within the app itself allowing you to upgrade to a full Office 365 subscription that starts at £5.99 ($6.99, or AU$9.00) per month for one PC, one tablet and one smartphone plus 1TB of storage.